The group Linkswende (Left Turn) estimated that approximately 2,500 people took part in the march in Vienna. Austria has a history of environmental progressivism, with environmental protections, like a ban on heli-skiing in an effort to avoid disturbing the alpine ecosystem, and a highly developed recycling program. This march focused on the issues such as fossil fuels extraction at the expense of the environment and on climate change resulting from the use of these resources. I carried this same sign during the march. 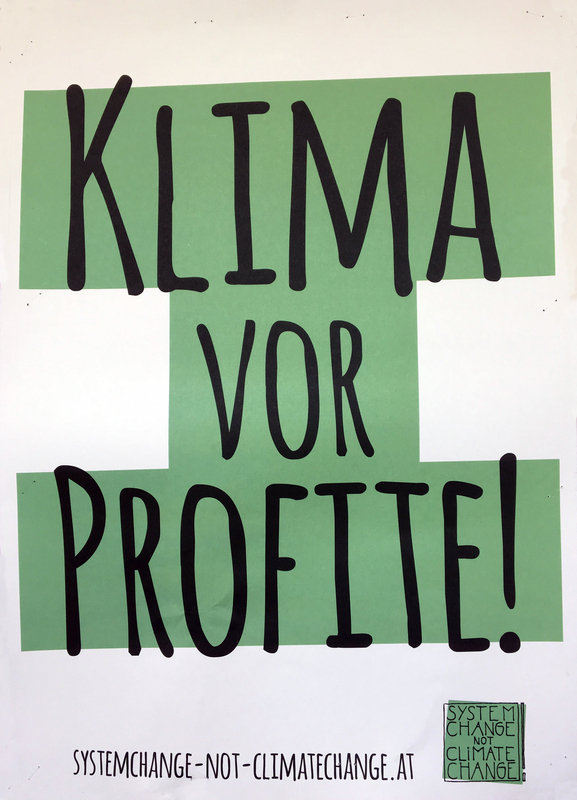 Linkswende – Klima vor Profite!